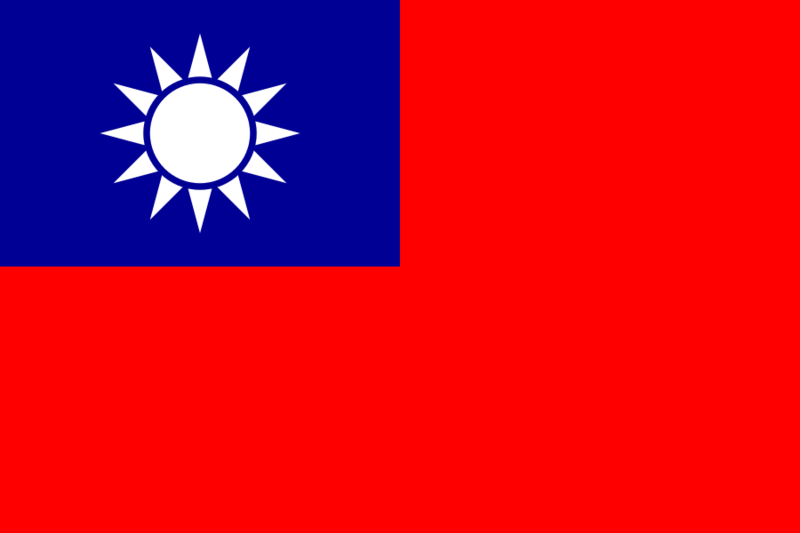 See also Wikipedia article: en:List of Taiwanese flags และ en:List of Chinese flags. The constitution, acts, regulations, or official documents. Translations or compilations by central or local government agencies of works referred to in the preceding subparagraph. Slogans and common symbols, terms, formulas, numerical charts, forms, notebooks, or almanacs. Oral and literary works for news reports that are intended strictly to communicate facts. Test questions and alternative test questions from all kinds of examinations held pursuant to laws or regulations. The term "official documents" in the first subparagraph of the preceding paragraph includes proclamations, text of speeches, news releases, and other documents prepared by civil servants in the course of carrying out their duties. This work is from any of the items above and is in the public domain in Taiwan administered by the Republic of China and possibly other jurisdictions. For images of traffic signs and indicating lines, please see also Template:PD-ROC-Traffic Signs and Template:PD-ROC-Traffic Indicating Lines. Note: The People's Republic of China is the legal successor of the Republic of China; therefore, this license tag is also applicable to the flags of the Republic of China. 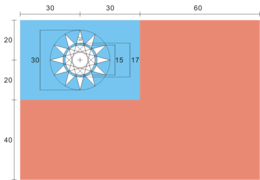 Construction sheet of the flag of the Republic of China (Taiwan).